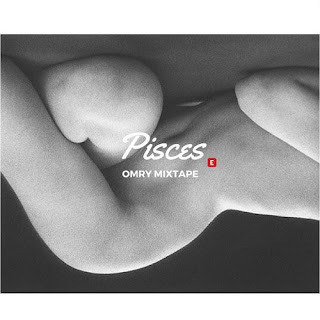 Forgive the NSFW pic, which happens to be the cover art of Omry's upcoming mixtape titled Pisces. This article though is about his single Poruka. Now currently taking a gap year after high school, the 19 year-old rapper has chosen this time to make his name in the industry. Currently, he is working on two projects, the first being the Pisces mixtape which is set to drop on the 14th October 2016 and an EP set to drop early January 2017. He expects to feature artists from the globe. Inspired by American rappers in the form of Big Sean and G–Eazy, Omry aims to be a rapper who spits relate-able issues despite his young years. "Poruka" is his open letter to the industry, stating how other rappers don't want to feature on his tracks, how bloggers (ehem) don't want to blog him. What's your take? I do not like to call my music "zimhiphop" and that's because I don't want to necessarily can my music in one box. If you listen to my music, you will notice I can compete on an international level playlist. I want to make music that can be identified as " hip hop" and can be played anywhere in the world.That is how I feel I will make it. My conclusion is "If you want to make it, don't make Zim Hip Hop instead make Hip hop. I think Zimhiphop is very good but it's limited. The audience is limited, even in our country you will notice that very few people listen to Zim hip hop. You will notice that the real fans of most of zimhiphop rappers are just fellow rappers. The views expressed above are those of Omry and neither the views of Support Zim Hip-Hop nor SpekkTrumn.